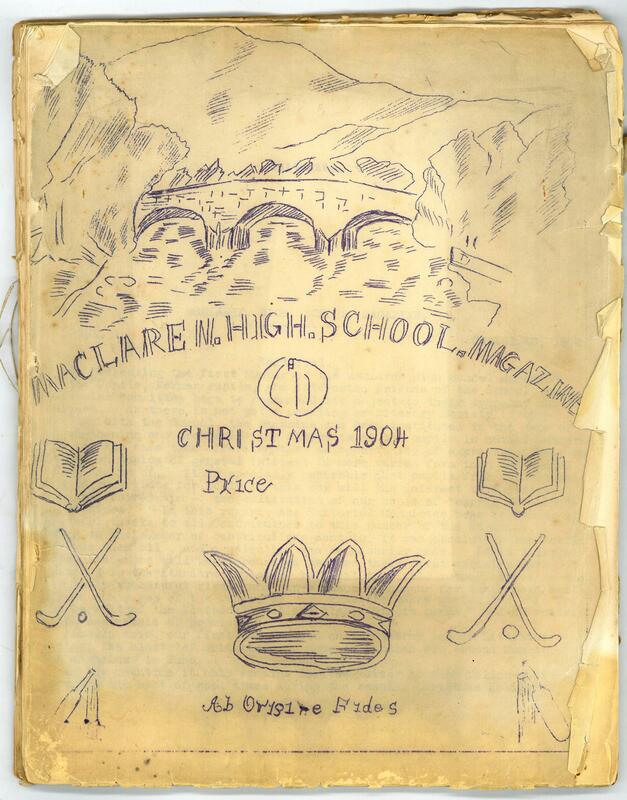 Contained within the McLaren High School collection are magazines produced by the pupils (ED/CA2/10). 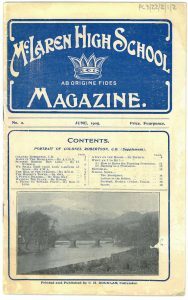 The magazines serve as a great local and family history resource as they include a variety of activities undertaken by the school. The first magazine was published by the school in 1904. 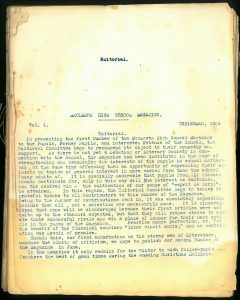 An editorial at the beginning outlines the aims of the magazine. It was created with aim of ‘strengthening and broadening the interests of pupils in school matters’ and allowing pupils to ‘express their opinions on topics of general interest in more varied form than the school essay admits of’. 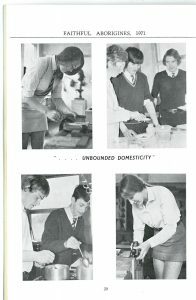 The magazine’s cover a broad range of subjects. 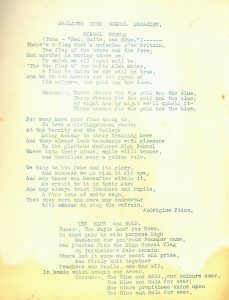 School songs are included within the first edition whilst an invaluable roll of honour is included after WW1. 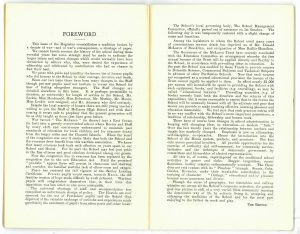 The magazine was not published from 1939-1947 due to the outbreak of WWII. 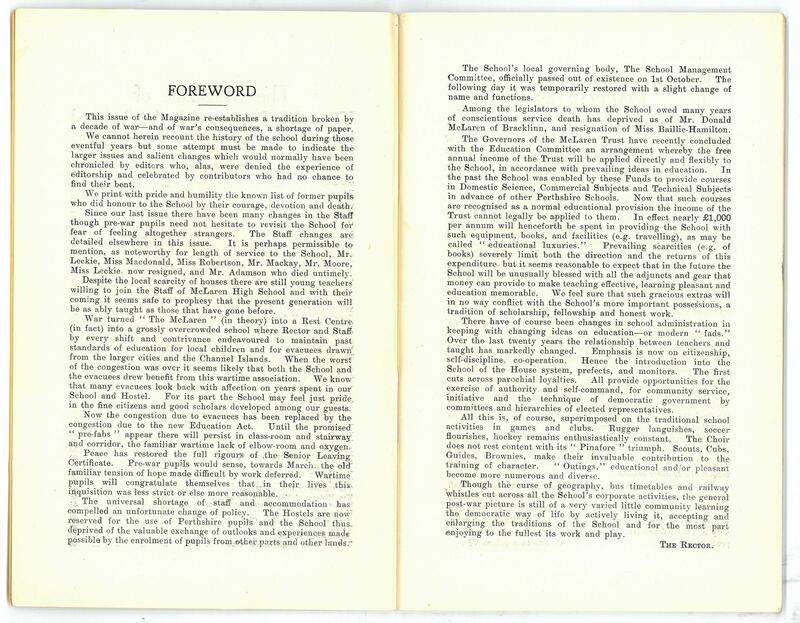 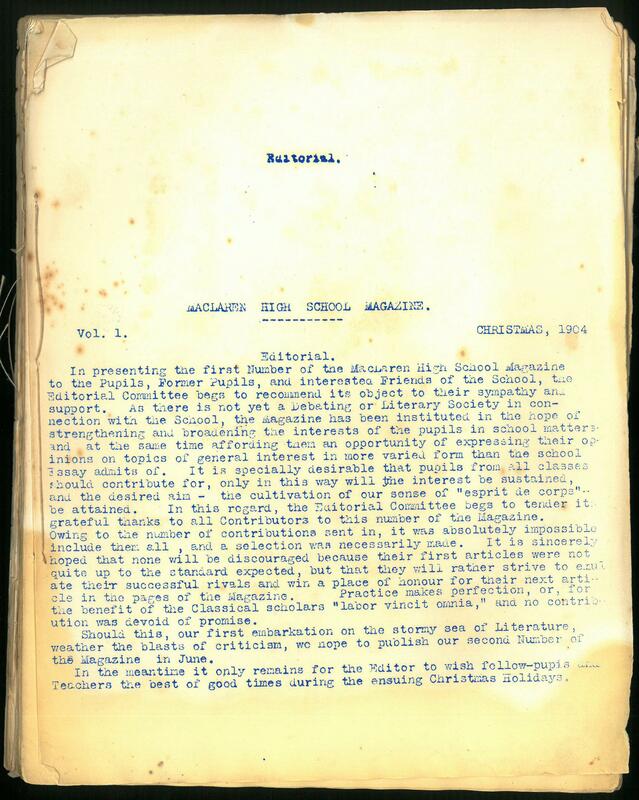 A foreword from the Rector in 1947, however, provides a unique update of all the changes that occurred at the school during this period. 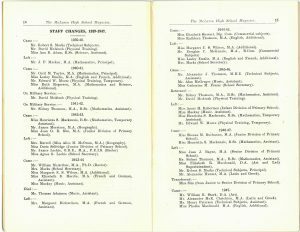 Staff changes are recorded and the roll of school as a rest centre are explored. 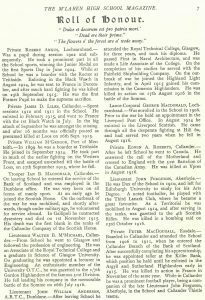 The magazines also include more traditional information such as school sports reports. 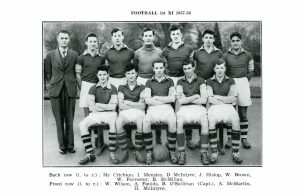 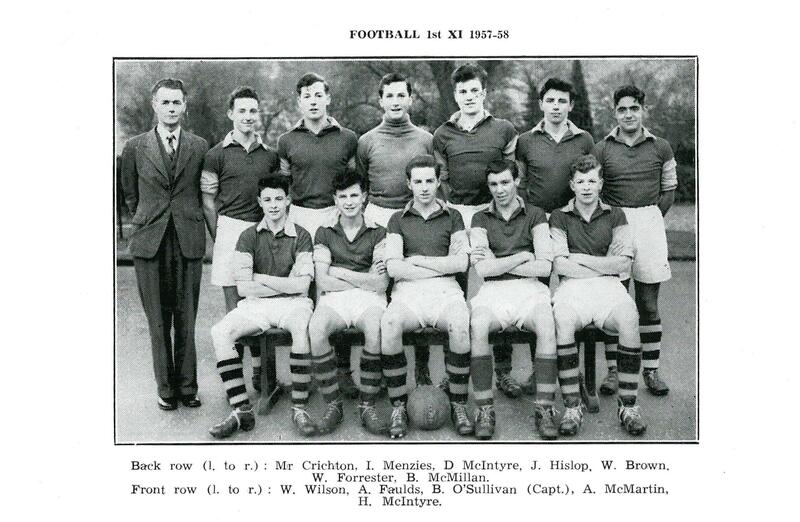 Football, hockey and rugby teams often have pictures and provide names of those in the team photographs. 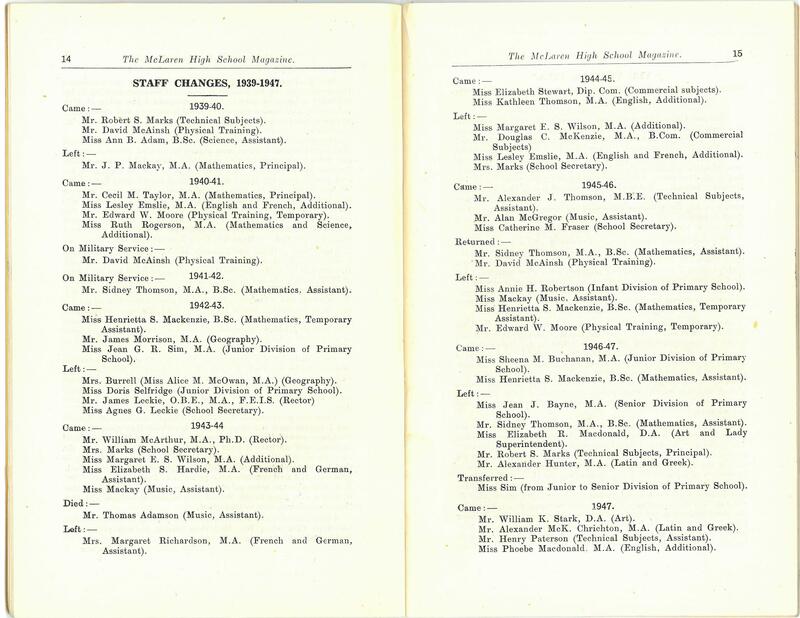 The best thing about the magazines, however, is that they were all produced by the pupils themselves. 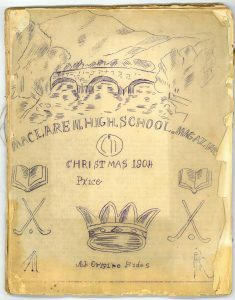 If you attended McLaren High School and wrote something for the magazine, there is a good chance you will be able to find. 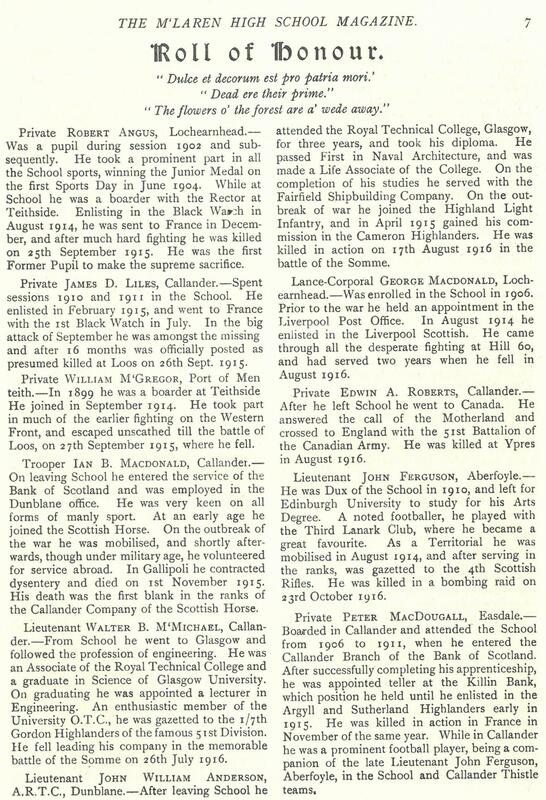 A lot of articles used aliases though so might have to remember what they were!